This Flu Fighter Chicken Noodle Soup is loaded with good for you ingredients, it’s cozy and the epitome of comfort food. Perfect for when you’re feeling congested or experiencing flu-like symptoms. It’s officially flu season here and it seems like everywhere I go, someone is sick with the flu. On top of that it’s been snowing here. We haven’t had much snow this year yet, so I have to admit that I actually like it, it’s so pretty to look at, especially the hoar frost on the trees, simply gorgeous! 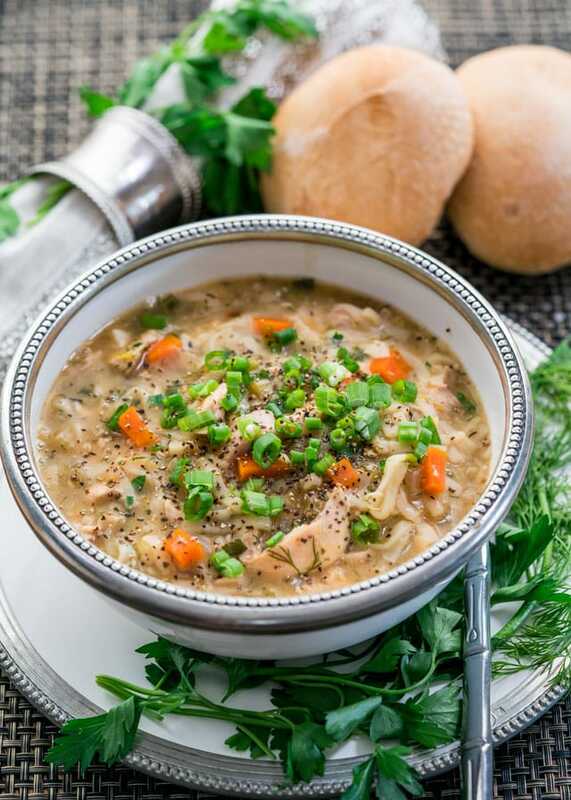 When the weather gets cold like this, it’s officially soup season, and I love making lots of soups, especially easy soups like this flu fighter chicken noodle soup. This soup is loaded with anti-oxidant rich vegetables, loads of chicken and noodles. 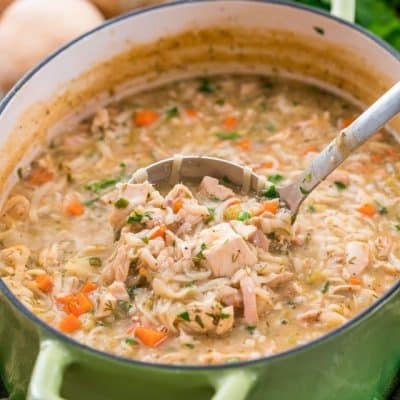 I made this soup with already cooked chicken to speed it up, but if you have the time, I strongly recommend cooking your own chicken and using that broth, but I know we all lead busy lives, so cooked chicken works just as well, and it’s so much quicker. I actually used a whole roast chicken, just picked all the meat from it, discarded the bones and skin then chopped it up. You’ll find a few different ingredients in this soup, like the hot sauce, soy sauce and herbs de Provence but trust me when I say you will not want to skip those ingredients. It’s what makes this soup special and gives it that wonderful flavor. A bowl of this soup and you’ll feel so much better! I used some egg noodles I had here, but feel free to use the pasta of your choice. This chicken noodle soup is really healthy with bold and delicious flavors. I feel really bad if you currently have the flu and are in need of this delicious soup, so if you do, I hope you’ll give this soup a try or get somone to make it for you. 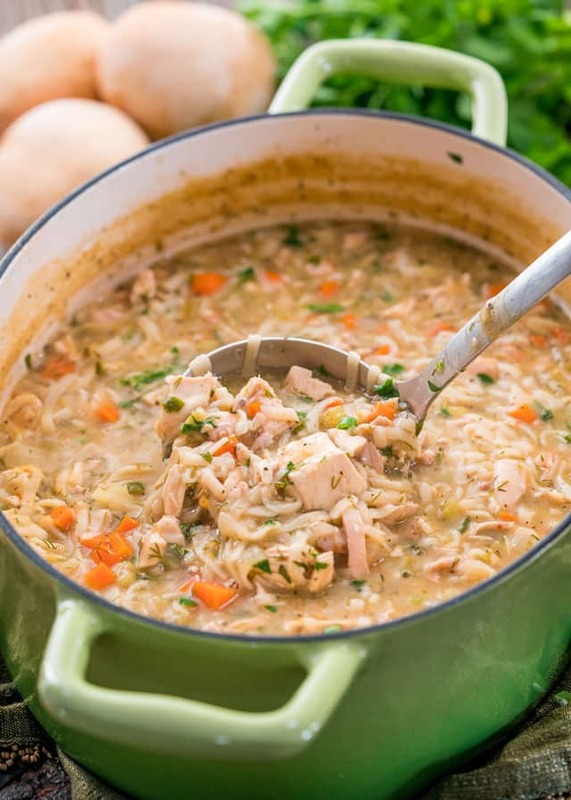 If you have an instant pot, try my Instant Pot Chicken Noodle Soup for a quick chicken soup from scratch. This Flu Fighter Chicken Noodle Soup is loaded with good for you ingredients, it's cozy and the epitome of comfort food. Perfect for when you're feeling congested or experiencing flu-like symptoms. In a large Dutch oven or soup pot heat the olive oil over medium high heat. Add the onion, celery, carrots, garlic, red pepper flakes, herbs de Provence and stir. Cook for about 3 to 5 minutes until the onion softens a bit and becomes translucent. Add the hot sauce, soy sauce, salt, pepper, cooked chicken, dill, parsley and stir. Add the chicken broth and stir. Add the noodles, and bring to a boil. Turn the heat down to a simmer and cook for about 15 minutes, stirring occasionally. Garnish with more parsley and chopped green onions. Herbs de Provence is a common herb blend including rosemary, marjoram, thyme, sage, savory, and lavender. If you can't find it, you can replace it with other herbaceous blends such as Italian seasoning. If you find the soup is too thick for your preference, feel free to add more chicken broth as needed. Refrigerate soup in an airtight container for up to 4 days. Chicken soup or broth goes bad quicker than cooked chicken by itself. Seriously. The best chicken soup I have ever had. It’s a little spicy with a kick of taste (all the seasoning) and have become a staple in my household! Freezes well too! A little spice clears the nose, right? Enjoy! I LOVE this recipe! Since finding it about a year ago, I’ve made it countless times. I especially like to make it when one of us is coming down with a cold or flu. I have never been able to find herb de provence, so just use a mix of other herbs – usually the poultry mix (sage, thyme, rosemary and parsley). The key is just to use LOTS of herbs…that’s what makes this soup so delicious! For chicken broth (which I didn’t have too at that time) I used 2 cubes of chicken bouillon + 2 drumstick with 8 cups and half of water and boil them for my chicken broth. The next day I brought my fiance to the grocery and I buy all the ingredients that we didn’t have at home and I follow your exact recipe and they were amazing!! 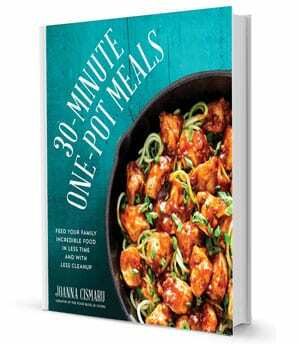 Love this, definitely will recommend this to my other friends for a perfect fresh chicken noodle soup! Jo- you have done it again! This chicken soup is amazing! The little bit of soy sauce and hot sauce give it a good kick. The fresh herbs give it a full flavor. It was quick and easy to make as well. 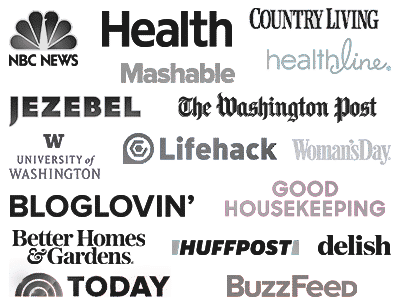 Thank you for your delicious recipies! My pleasure, so happy you liked it! I made this soup recipe and was a little leery about including all the ingredients. It was amazing chicken soup and super easy to make! I passed the recipe on! 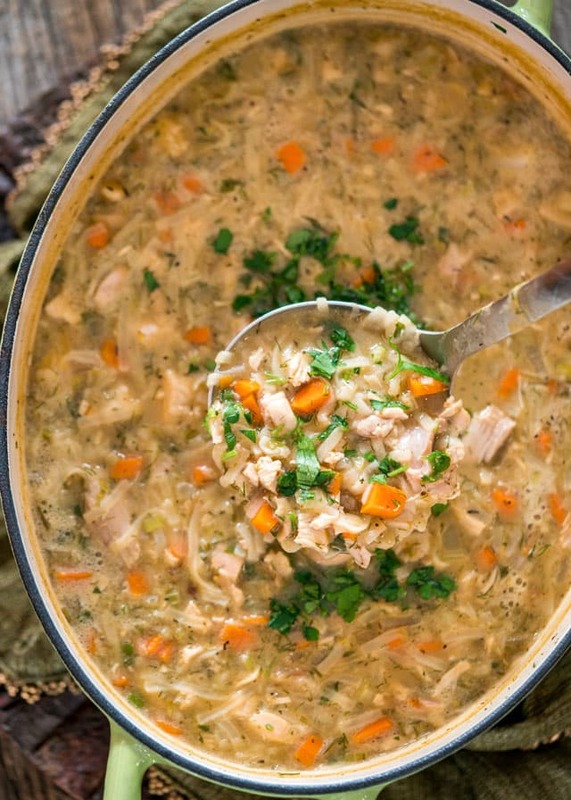 I love homemade soups but never thought that I would rave about chicken soup. This was delicious! Spicy and flavorful. It was a bit too spicy for my husband, so will simply add less sriracha next time. I think this tasted even better the next day. I used rotisserie chicken from the local grocery store. Glad you liked it, Susan! Oh stop it with this soup! It is making me so hungry (and I am freezing right now, so a warm cozy bowl of soup would be perfect). Well it’s awesome and you should try it. You will love it. This soup looks delicious! I printed out the recipe and plan to make it next week. Thanks for the recipe! I believe you left off the carrots in the instructions.